Gretchen believes in fostering a safe and nurturing environment for students of all levels to explore their yoga practice. 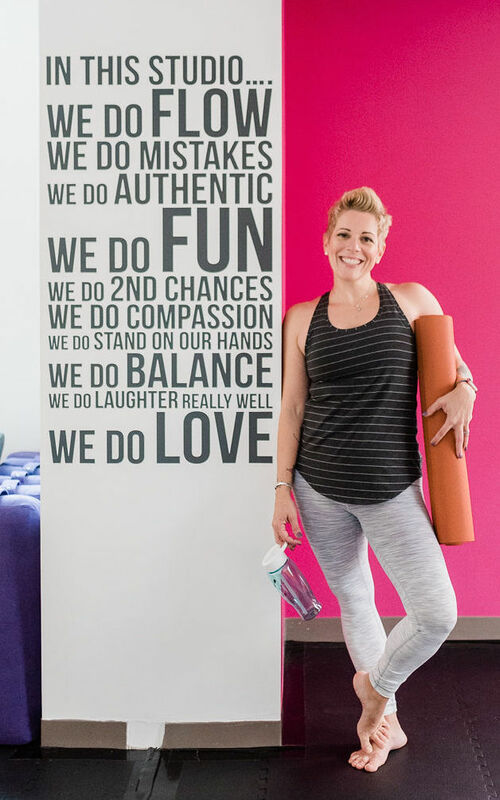 She infuses her love of yoga and dance to connect with her students on a personal level, teaching from a place of authenticity. Students love that each yoga class is unique with a diverse sequencing of poses to keep every student’s interest regardless of ability. She has taught over four thousand hours of yoga earning her the industry’s highest certification of ERYT-500 (Experienced Registered Yoga Teacher). She has been trained by nationally renowned teachers; Seane Corn, Faith Hunter, Kim Manfredi, and Dana Trixie Flynn. Gretchen received her RYT 200 from Embrace Your Flow with Faith Hunter in Washington DC, her RYT 500 from Charm City Yoga (YogaWorks) with Kim Manfredi in Baltimore, MD, and kids yoga certification with Shana Meyerson in Los Angeles, CA. She maintains a good standing with Yoga Alliance and provides continued education training to other yoga teachers. She also holds a B.A in Musical Theatre with a Dance minor from Point Park University (Pittsburgh, PA). In 2017 Gretchen continued her wellness journey and became accredited by the International Coach Federation as a certified Health Coach and Life Coach, she helps clients discover small changes they can make to get amazing transformations so that they can feel better in their body, their health and across all areas of their life. She works with clients one-on-one and also in small group sessions twice a year. When she isn’t on a yoga mat Gretchen enjoys traveling, bicycle rides and hiking with her wife and two sons and their energetic dogs. One of her boys is on the Autism Spectrum and she writes about her parenting journey on her personal blog, CocktailMom. Cara loves to inspire others to be the best they can be. She is a certified personal trainer through National Academy of Sports Medicine (NASM) and certified group fitness instructor through Les Mills for multiple fitness programs. Cara has worked in the fitness industry for over 15 years in the United States and New Zealand. She holds a B.S in Physiology and B.A in Psychology and a Graduate Diploma in Sports Medicine. When she isn't teaching spin classes, tai chi or pilates Cara loves to go on bike rides, hikes, camping and exploring with her husband and two young children. 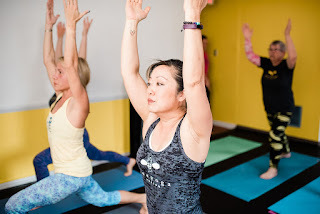 Bee Yoga Fusion is a boutique studio which allows everyone to receive personalized instruction and the intimate environment supports building community. We hope you’ll come to take a class and see for yourself. Read some of the heartfelt testimonials from people, like you, who have enjoyed practicing yoga with Gretchen. Want to receive updates on classes and workshops? Be sure to sign up here.